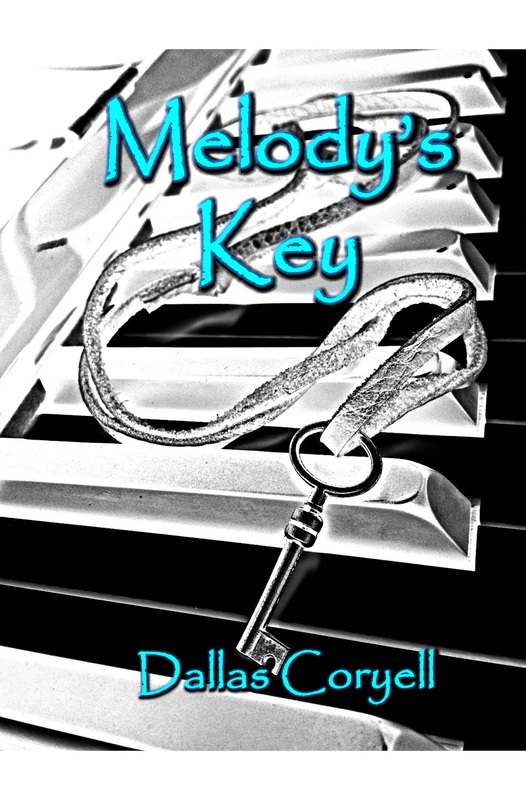 Melody's Key is a love story that follows the feelings and revelations of English girl Tegan Lockwood towards American Pop Star Mason Keane when he stays at their house and family business for the summer. Tegan is a girl that lives with her family in the south of England, helping them run their holiday business. She dreams of going to university to study art on a scholarship she received, but the debt that the house and business has put on the family has pushed her dreams aside and she focuses on working for the family. Her family agree to take care of a American sensation, Mason Keane, for the summer and everyone in her household is excited for the visitor except for Tegan. She has no interest in the typical pop star culture and doesn't swoon at the fact that he is famous. The story follows how Tegan slowly begins to like Mason and open up to him more than she as anyone else before, and follows her feelings towards him and love in general. It follows them on their shared interest in music and how they relate to each other in more than one way. The book contains great descriptions, which really help you imagine the setting and locations and help bring you into the story, giving it more feeling and making it more exciting. The descriptions are detailed, but are not over the top and do not include things that are irrelevant to the setting and story. There is a good connection between the family and it's nice to read how they are so close, despite their struggles and worries. It creates a happy environment for the story and opens up more opportunities for the family to be included and also helps show how lonely Mason is without family or close friends. By having the family so close it emphasises the feelings and effects for when something is wrong and someone isn't told, as it shows that it is a major problem because the family are so close. It creates a warm atmosphere within the house and story and makes the characters more likeable. I think it's great that there are many real-life references because it makes it more realistic and relate-able. I personally enjoy art and music a lot so it was really nice to see the involvement of these subjects and I liked the input of the lyrics to the song too, it wasn't needed entirely but they definitely add more to the story and show you how the characters are bonding. The inclusion of the music mean that I can relate more to Tegan, so I was able to feel her more passionately than if it was just another regular girl. I think the music and industry knowledge was a lot more believable, since the author is related to the industry and also creates music. 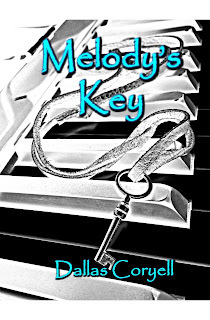 The creation of the music in the story is a strong characteristic of the book as it shows how the characters open up more, as they begin to share their music and feelings for each other. Dallas Coryell has also created some of the songs on his YouTube channel too, so they have become real songs which I think is an amazing little extra! The passion and feelings in the book are described very well and it really shows how people are when they have feelings for someone. When reading about her worries it actually made me anxious and I understood how she felt about being scared of humiliating herself in front of someone she likes. The way the problems are visited is good because they explain how the characters react, and I think these are very close to someone who usually shuts off from people would react. By making the feelings so realistic it means that the characters are easier to understand and relate to. Even though the book is set in England you can tell that the author isn't English, as some of the phrases and words used aren't exactly common or used often in England in the context that they're used in the book, but this doesn't take anything away from the book and isn't off-putting or cringe-worthy. There were a few parts to the book that weren't essential to the story but definitely added a little extra to the book and the mind-set of the characters. I found the letters in the book a really nice touch but I felt these were slightly irrelevant. I think they were great to read and did add some hope to Tegan's feelings, and although they weren't essential, they did add another layer to the book. I felt the same intrigue as Tegan towards the letters and really wished that we had the other end of the letters to read. I feel that there were some parts to the book that I wish had carried on, as it would have been nice to find out what happened. One character that comes up later in the story is Maddison, and I would have liked to have found out what happened to her one the events of the ending finished. I would have also liked to find out more about the record deal and the adventures of the characters once the book had ended. Overall I really loved reading this and it was such a nice easy read! It was full of emotion and I felt the excitement, joy, and heartbreak that the book created. I was actually disappointed that it ended, because I wanted to see what happened after and I feel that there would have been a great story to carry on, although not in the same book, to see what would follow the events of the story. The story itself flowed and followed the journey of the characters but I feel that there were some questions left unanswered at the end of the book. I won't ruin the book in case you plan on reading it, but I do wish that some of the events in the book leading to the ending were cleared up and some loose ends tied. In all, I would definitely recommend this book if you're looking for something nice and easy to read that includes love, humour and music. It was a great read and I enjoyed it up until the last page! You can get the book from Amazon. If you decide to read this then let me know what you thought of it, and head over to the author's Instagram; dallascoryell, Facebook, Twitter, Google +, and YouTube channel: dallascoryell1 to show him some love! *I was sent this book from the author, in digital format to produce a review. 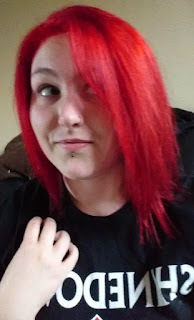 Although I was sent the book for free, the opinions of the book and in the review are my own and I would not falsely recommend something I didn't like. This was the first thing I was sent to review and I have to say that I actually feel honoured to have been picked for a review.